SeaSound Entertainment was conceived and founded by professional musician, J. Patrice Kaluza, who has been active in the entertainment industry for more than 25 years as a Performer, Musical Director, Stage Director, Educator, Producer and Composer. Patrice’s experience as both a provider and purchaser of musical entertainment provides the knowledge required to assist you in selecting the ideal artist for your needs. An avid artist with broad ranging interests, Patrice most enjoys opportunities to combine her musical abilities as an accomplished vocalist and instrumentalist with her artistic talents as a painter, interior designer and decor specialist. For this reason, she particularly enjoys working with bridal couples and other individuals planning special events to develop a theme for their wedding or other special event that is reflected in all of the decorations, flowers, attire, announcements, programs and music. In addition to considering artists who request representation by SeaSound Entertainment, Patrice regularly scouts for talent throughout the United States to ensure the availability of the top performing artists to clients in the area. Utilizing her extensive experience in the entertainment industry, Patrice carefully auditions each of these artists to ensure they satisfy the rigorous requirements of SeaSound Entertainment’s TIPS Program. ~Significant experience meeting and exceeding the expectations of live audiences. ~Musical proficiency establishing the artist as one of the most talented in their field for the area, and in many cases one of the top artists in their field in the region or even in the United States. In fact, one of the artists represented by SeaSound Entertainment is generally recognized as the best artist in his field in the world. ~Demonstrated ability to engage audiences in an enjoyable entertainment experience. Clients of SeaSound Entertainment can book any of the artists represented by the agency with the assurance that the artist satisfies these stringent requirements and that the artists will thoughtfully and respectfully consider any special requests of the client to improve the entertainment experience. The roster of artists represented by SeaSound Entertainment include over 100 North Carolina musicians as well as nationally and internationally recognized artists and celebrities. SeaSound Entertainment proudly represents a broad variety of entertainers (from harpists and strolling musicians to bag pipers, a Steel Drum Band and “Tribunators“–the finest vocal impressionists in the world who often bear a striking resemblance to the original legend to whom their shows pay tribute). Through artists represented exclusively by SeaSound Entertainment and artists represented by other agencies in its network of contacts, SeaSound Entertainment can provide the right entertainment for your event locally, regionally or nationally from small, private parties to conventions and season series for large theatres. To apply for a feature listing on the website and to learn how to embed the Featured Entertainer icon on your site, contact Patrice for more information. The Director of SeaSound Entertainment, J. Patrice Kaluza, is a professional musician and actress. Ms. Kaluza has served as a music educator, drama coach and band director. She has written, directed and performed in musical theater, and she has served as a musical director and stage director for theater and church productions. She was also a Co-founder and Executive Producer of a dinner theatre in the Washington, DC area. Ms. Kaluza writes and produces her own musical compositions. She has more than 25 years’ experience performing professionally. Singing and entertaining for audiences of all generations since the age of 9, she understands that an exciting musical performance elevates a pleasant function to a gala event remembered by all who attend. Since moving to Raleigh, North Carolina, Ms. Kaluza has established many new, she has performed locally with several jazz and variety bands, including her own band, Lady & The Tramps. Patrice developed and led the band program for a local school, and she created the Barclay Youth Ensemble for young musicians. She maintains her own studio, SeaSound Studio, for private music and drama instruction. In addition to her active performance schedule at theaters, weddings and restaurants, she often provides musical entertainment for senior retirement homes and hospitals where residents view her performances as therapy. 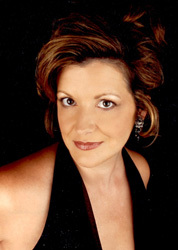 Ms. Kaluza has also recently performed with several stars of The Lawrence Welk Show, and she represents several of those performers through this agency. In 2015, she released her first vocal CD, “At Last”, in which she is backed by The Todd Sullivan Orchestra of New York City and a “dream team” of three arrangers, including 10-time Emmy award-winning arranger/composer, Lanny Meyers.